All of us value quality customer service that can provide the needed help and care at a moment’s notice. Since Whirlpool is one of the most reputable home appliance companies, they have a customer service that matches their reputation. Whirlpool wants to be as accessible to its customers as possible, so there are a few ways to contact the company. Regardless of your inquiry, you can find help by contacting the company directly or using one of the other online/offline methods. If you have a problem or a question, you can easily get in touch with one of the representatives. The following are the most common ways to get through to Whirlpool customer service. The best way to find Whirlpool contact information is to visit their Contact Us page. If you want to know more about your appliance or how to utilize all of its functions, you should click on Manuals and Literature. Enter the product model number to get all the relevant documents that can help you use the product more efficiently. In case you don’t know how to locate the model number, there is the ‘Where is my model number’ option. Click on this option and select the type of product you wish to inquire about. You will be able to see an image with the exact location of the model number. Besides the manuals, this section contains documents that can help you with general use and maintenance of your Whirlpool appliance. Whirlpool has one of the most comprehensive Product Help pages in the industry. You can get all the information regarding any product. The main Product Help page also features the FAQs section for all of the product categories. After you choose one of the product categories, click on the subcategory that matches your appliance. The subcategory page comes with all of the necessary troubleshooting information. You can also get help on how to install and maintain your product. The instruction videos that are embedded on each page can be particularly useful if you have a hard time with the written instructions. The videos also provide tips and tricks on how to get the best out of your Whirlpool product. A lot of users feel that calling customer service is the best way to get all their questions answered. If this is your preferred method to get in touch with Whirlpool, you should dial 1-800-807-6777 to reach the company in Canada. 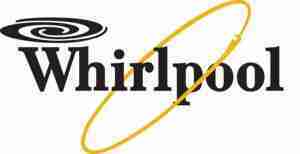 It is worth noting that Whirlpool customer service has limited hours of operation. The phone customer service is available Monday to Friday between 8 a.m. and 8 p.m. Eastern Standard Time. And you may also be put on hold for a while before you reach a customer representative. On top of that, you need to know the model and serial number of your appliance when you call. If you can’t find them, click on ‘Need help finding your model and serial number?’ below the phone number. Another quick method to get in touch with Whirlpool is through Live Chat on the company’s webpage. Just click on ‘Live Chat’ to access a pop-up chat window. Fill out the top boxes with your information and type the inquiry into the Question section. When you’re done, click on ‘Start Chat’ and wait for the answer. There is also an option to send the chat transcript to your email. Tick the checkbox and you’ll receive the transcript for future reference. Similar to phone customer service, Whirlpool’s Live Chat customer service also has limited hours of operation. It is best to contact them Monday to Friday between 8 a.m. and 5 p.m. Eastern Standard Time. You can send your inquiry outside the hours of operation. But don’t expect to get an answer until the following business day during the abovementioned hours. However, this might be the slowest way to get a response to your questions. It might take a few days for the company to process your inquiry and send back a reply. Whirlpool actively participates in the comments section under their Facebook posts. Every complaint or inquiry gets answered and the customers are usually directed to private messages for further help. The company’s social media accounts are also a very useful resource for other information related to their products or services. You can get useful tips on how to use some of the Whirlpool products on their YouTube page. And the Whirlpool promotional videos inform you about the company’s philosophy regarding the cooking appliances. You shouldn’t hesitate to reach out to Whirlpool if you are experiencing some problem with a product. On the other hand, you might just want to ask them a question. Either way, contacting Whirlpool in Canada is quite simple and easy. The most effective way might be social media, especially the company’s Facebook page. Though you can always dial the customer service number and get help almost instantly. Submit your review of the Whirlpool customers care service. Your e-mail address will not be published. All fields marked with * are mandatory. Do you work at Whirlpool? Claim your listing for free! Qith a Company account you can to respond to reviews, update your profile and much more. 2Shay.co is not connected with the companies reviewed on its pages. Every effort has been made to properly capitalize, punctuate, identify and attribute trademarks and tradenames to their respective owners, including the use of ® and ™ (TM) wherever possible and practical.